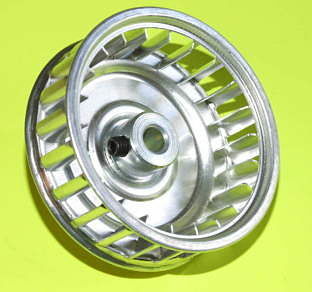 3 inch x 1 inch Inducer Blower Wheel for Amerian Standard; Trane equipment. Technical Specifications: 3 inch Diameter; 1 inch Width; .315 Bore. Replaces Part Numbers: BLW00021; BLW 00021; BLW0021; BLW021; BLW21. Used in American Standard Models: AUC060B942A1; AUC080B942A1; AUC100B942A1. Used in Trane Models: TUC060B942A1; TUC080B942A1; TUC100B942A1.